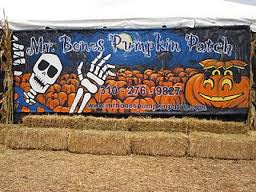 exposarazzi: Mr Bones Pumpkin Patch: Who will save these children from their famous parents? Mr Bones Pumpkin Patch: Who will save these children from their famous parents? How do we know fall is here? Mr Bones Pumpkin Patch in West Hollywood hangs out the 'open for business' sign and desperate for attention celebs drag their innocent kids in for photo ops in front of a swarm of paparazzi. Mr Bones loves the publicity, and creates a hay bale type seating area for the unwashed masses of photographers in a not so discreet corner of the lot, and, FYI any celebrity who goes there KNOWS they and their brood are going to be shot to sh*t.
So who was the very first one to get (metaphorically) 'gang banged' there this year, 2013? That award goes to -ding-ding-ding- Kristin Cavallari, who brought along her upset looking one-year old son Camden Cutler. You remember Kristin, don't you? She was on reality shows like The Hills, Dancing With The Stars, and uh, uh, that's about it. Guess it was a better way to spend her day than watching her Chicago Bears quarterback hubby Jay Cutler get his a** kicked by the New Orleans Saints! In case you're keeping track, the first to show up at the lot last year  was paparazzi hating Halle Berry and her daughter Nahla. In 2011 the award went to Christina Aguilera and her son Max.